Really though, no one knows how Siddhartha viewed himself. When he came to recognize the realities of suffering did he put a hand to his forehead and say to himself, “I’ve been so stupid all these years. All around me are people in distress and I’ve been blind to it.” Did he wonder if that since he had only experienced comfort and happiness while others experienced suffering and discontent was that the duality of the world. We’ve really got no idea if he immediately set forth on his spiritual quest or if he agonized over it for months or years before deciding to leave his home and family, to become a medicant and ascetic. Like all of us, Siddhartha must have carried on internal conversations between him and . . . him. His teachings do reveal that he re-described those conversations with himself as his worldview changed. Conversations that became the Dharma. What is clear is that Siddhartha had a particular view of himself and his world before his realization. It is clear that that view changed when he came to recognize suffering . . . and from that point until his death his view underwent a succession of changing views . . . internal and external. Siddhartha, as the son of a tribal leader had wealth, prestige and resources. His response to the realization of suffering could have been to give those in need food, medicine and shelter. He could have made an impact on suffering and discontent in his small part of the world. It is said that as a young prince, in a previous life Siddhartha had done just that in his kingdom; he drove a cart laden with food and clothing around the area, giving to any who were in need. That Jataka Tale wasn’t yet connected with Siddhartha so in response to this change in his worldview Siddhartha chose to transform himself from royalty to rags, from a leader to a follower, from a ‘have’ to a ‘have not’. Did he view that as a way to punish himself for being born into wealth and privilege? Or, was he experiencing a doubt that only a journey of spiritual discovery could allay? It depended on how Siddhartha viewed himself . . . guilty or aware. After years of living as an ascetic he was crossing a stream and due to being weak from hunger he fell and almost drowned. A young village girl found him weak from hunger, barely able to move and offered him a bowl of milk and rice. This caused a change in Siddhartha’s view of what he needed to do. “That was dumb. I almost starved myself to death just to prove a point. I’d have known better if my father and teachers would have taught me about the real world.” Siddhartha experienced a radical change in his worldview. That experience led him to find the most revered teachers of the Hindu practices of his culture and to train with them. You’re familiar with the rest of the tale. Siddhartha became the equal of all his teachers. Still he did not experience his own enlightened moment. There was already a large number of people who followed his Hindu teachings, who viewed him as a guru. Siddhartha set all that aside and vowed to sit under a bodhi tree until he found the answers he sought. After a time he awakened to the realities of a path, of truths, of not-self, and of dependent origination . . . he succeeded in his personal quest. Then came the internal dialogue again, “What now? These are some really deep realizations I’ve made. I understand dependent arising, that I change all the time, and that every human being experiences both suffering and joy no matter who they are, and there is a reason for this, and a path to liberation. Problem is I may not be skillful enough to help others comprehend it.” The next change in worldview that Siddhartha experienced had the karmic consequence of the Buddha’s teachings existing from his time and place long ago, to this day, to affect a wide variety of peoples and their diverse cultures. His view that others might not be able to fully experience this new paradigm of human existence changed to a more appropriate view, “I’ll teach what I have awakened to because it is too important to keep to myself,” and as a consequence revealed the Buddha’s encompassing compassion and wisdom. The traditional story leads the reader to the conclusion that from the beginning Siddhartha’s goal was to find an answer to suffering so that all people would benefit. Isn’t it more logical that Siddhartha’s goal initially was to deal with his own perceived faults and misperceptions? 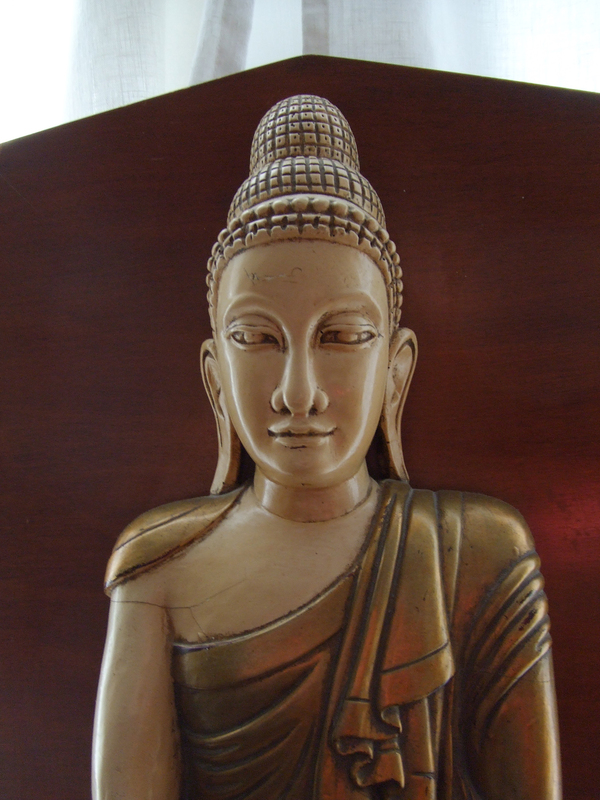 At the end of the story of Siddhartha’s awakening is reference to his hesitation to bring his revelations to others. This is the humanity of the Awakened One shining through. A contemporary view is that he, like you and I began a spiritual journey to learn more about, and improve himself. It is later in practice that he, like you and I came to realize the importance and value of being a positive example to others. It takes gradual steps to reach an encompassing and corrective view. A Buddhist spiritual journey must begin with acquiring an appropriate view of how you are, and how you fit in the world around you. Developing a rigorously honest view of yourself reveals the potential you possess to be an agent of positive transformation. You come to see through the delusions that have limited your thoughts and actions. You discover that you are more compassionate and more capable than you’ve ever given yourself credit for. Sure you’ve got faults and foibles but they aren’t permanent as long as you make the effort to change. You begin with an inward view. It obviously worked for Siddhartha.